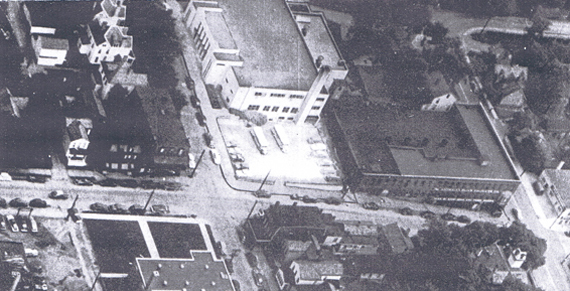 ELHistSoc -In Limbo: 500 Block, East Third St. 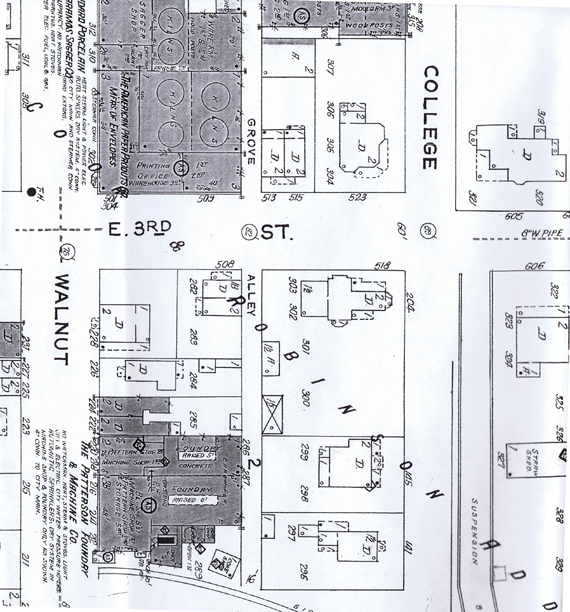 In Limbo: 500 Block, East Third St.
1923 Sanborn Fire Insurance Map. It would be interesting if we could find a picture of the house that is located at 523 on the map. A good view of the 500 block of East Third Street. 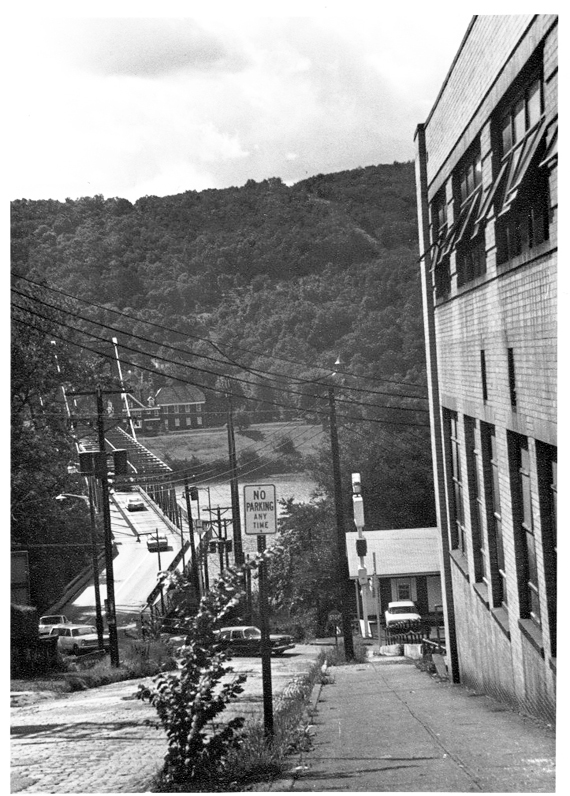 This picture was in the 1950 ELHS Keramos Yearbook so the picture was early 1950 or before. 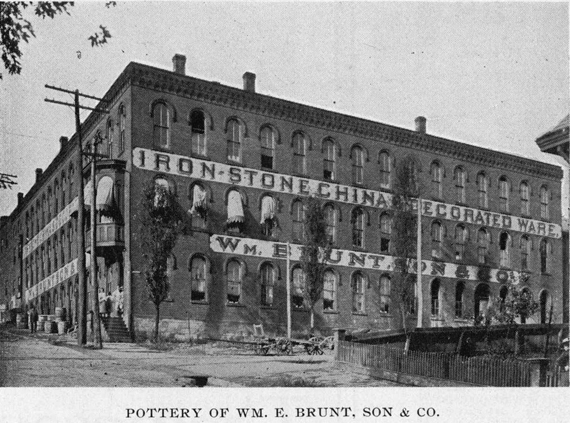 The building became the American Paper Products after the Brunt Pottery closed. 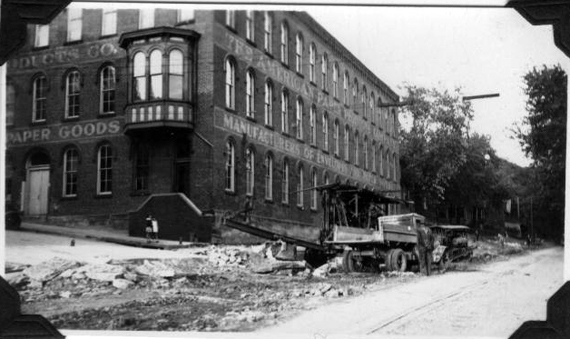 This picture would have been taken around 1936 or thereabouts as the trolley tracks were being taken up. House at 513-515 East Third Street, East Liverpool, Ohio where O.O.McIntrye roomed as a young man while living here. Photograph taken May 19, 1956. This would be the corner of Walnut and East Third Street looking towards Broadway. This would be the mid to late 1960's. Our answer to the fast food chains. Some say this kept McDonald's from Locating in Downtown. It shows that even though it was known that much if not most of East Third was going to be demolished for the 4 lane at least some investment into business was going on. But these businesses too would go when the state finished buying property along the 4 lane right of way. 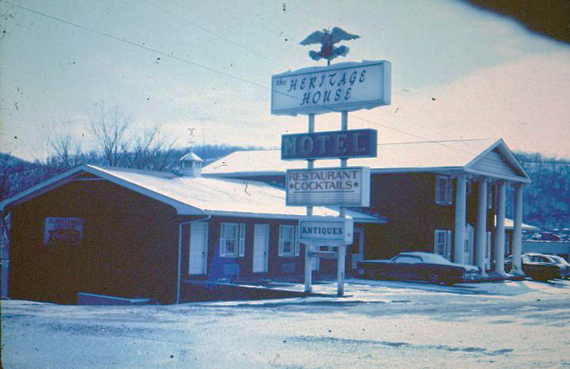 Construction of the Heritage House Motel June 1965, corner of East 3rd and College Street.